Finding birthday parties ideas can be a daunting task. Year after year, you have to come up with fun party ideas, just because it puts an excited smile on your children’s faces, a smile that you want to witness for as long and as often as possible. A laser tag birthday party is easy to organize, and it is fun for everyone involved. You’ll only have to pick a time, date and we’ll do the rest. If you are looking for ideas how to throw a laser tag party, we can help. We’ve overseen thousands of successful, fun parties. It all starts with choosing a birthday party place near you. 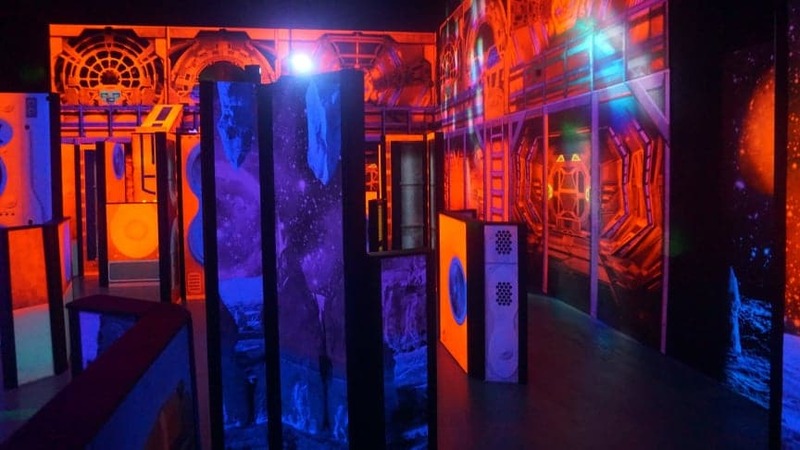 There are a lot of options, of course, but once you narrow it down to the facilities that have a laser tag arena, it is going to be a lot easier to choose. Does the facility offer other activities besides laser tag? Do you need a private birthday party room? Can you bring your own cake? How many people can you make a reservation for? Are there entertaining activities for the adults as well? There are very few places that answer yes to all the questions, especially to the last one. Play and Spin is one of the few Chicago area Family Entertainment Centers that offer activities for all ages. Laser tag is one of the few games that are entertaining for all ages. It is mainly because laser tag is a combination between team sports, video games and strategy application. People that play it on a regular basis say that it is incredibly energizing and a good team building activity that bridges even the gap across generations. Stick with just a few colors. You can use these colors on the cake, for balloons and even for laser tag face paint. Design table centerpiece(s) that follow the same theme. It can also be a combination between your chosen theme and a laser tag theme, as well. Do not forget the cupcakes. They can add a nice touch to any party and they are very easy to decorate. Print your own supplies. There are a lot of ideas and templates that can be found online, such as for party flags, cupcake wrappers, centerpieces, banners and signs. Get some laser tag themed party favors. 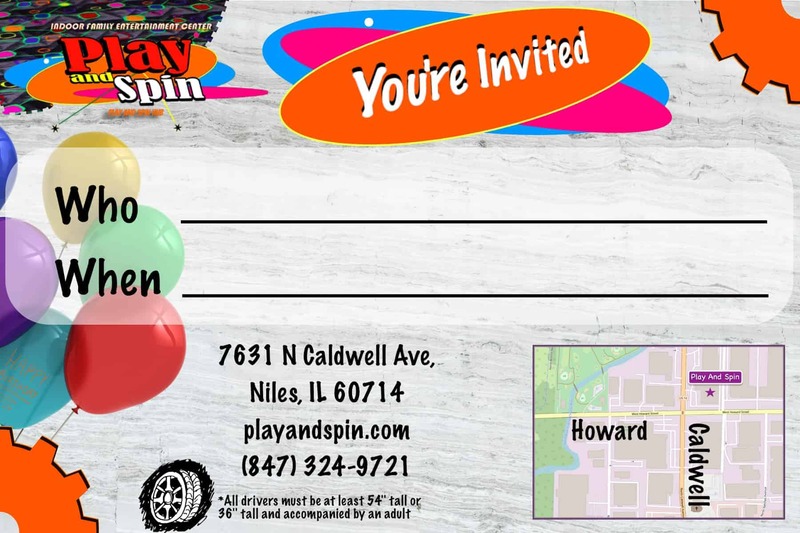 We offer our own birthday party invitation, or you can design and print laser tag customized invitations using services such as VistaPrint and Canva. The easy answer is whatever you like. However, since the game involves some light to moderate physical activity, you should choose clothing that will allow the participants freedom of movement and that are sweat absorbing. Also, keep in mind that light colors will make you that much more visible in the arena. Once again, you can also consider some face paint, just because it is so much fun and helps you fly the colors of your team. At Play And Spin, you can opt for laser tag starting with the Orange Birthday Package. The cost is $21.99+ and it includes 2-6 attractions, 60 game credits, 2 hours of unlimited video game playing, a soft drink with free refill and 2 slices of 1-topping pizza. That is quite a bit of fun packed into a very affordable, 2-hour package.